Pet health conditions are more or less similar to humans. Some of the common health problems that occur both in humans and in animals are arthritis, skin conditions, urinary infection and stomach upset. There are numerous reasons for stomach upset in dogs. Determining the reason will help you to know whether it’s serious or not, or just a small care and medication is necessary. 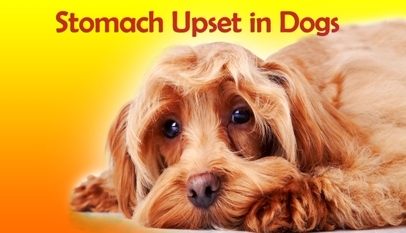 Stomach upset in dogs is quite similar to humans. Some of the causes that can disturb pet stomach are eating too fast, an obstruction in their intestines, eating a stale food, or eating without chewing. Sometimes, it may be due to diet also. Dogs can be allergic to certain types of food. Upset stomach is also common for dogs who eat things like coins, string balls, sweeties, food wrappers, spring flowers, grass, etc, which they shouldn’t eat. Apart from these things, dogs face upset stomach due to changes made in their diet like shifting from raw meat food to packed dog food, parasites like worms in dogs and puppies, or injury in their stomach area. From the above symptoms, you can know that your pet is suffering from stomach upset. If the cause of the upset stomach is not so severe, your vet will advise you not to feed anything to your dog and let the stomach rest for 24 hours without any food. This will ease the problem. However, it is important to provide him plenty of fresh water. Moreover, some dogs would like to have ice chips when they don’t feel good. This also helps them to have enough water when they are sick. After 24 hours, you can feed your dog with plain rice mixed with plain cooked chicken. You can also add some plain yogurt to your dog’s food. He can get some healthy pro-biotic bacteria into his system, which works to settle his stomach. You can also use over the counter medicines for your dog. This will ease the stomach problem. In case of stomach pain caused due to worms, it is important to treat dogs with dewormer such as cazitel or capstar. These medications help to remove worms and reduce stomach pain dramatically. Even after trying these different methods if stomach condition doesn’t improve but worsens then it is better to take your dog to a vet.